Hi! My name is Morgan Tilton — I also go by Mo. In a nutshell, I grew up in a small mountain town and moved to the big city to hit the books at the University of Denver. Three degrees, four years, and a couple of trips across the world later, I launched my business as a writer. My umbrella includes outdoor industry news and adventure travel stories. I contribute to local and national publications, print and digital, such as Outside, Men’s Journal, Backpacker, SELF, SNEWS, Gear Junkie and Elevation Outdoors among others. I join live reporting crews and contribute to industry magazines –now, a total of 11 Outdoor Retailer and Snowsports Industry trade shows– and assist in-house teams with roles such as Teton Gravity Research Snowboard Editor, in 2016/17, and iRunFar Columnist in 2018. In 2017, I became a Bronze medalist and three-time Finalist of the North American Travel Journalists Association (NATJA) for my travel writing. 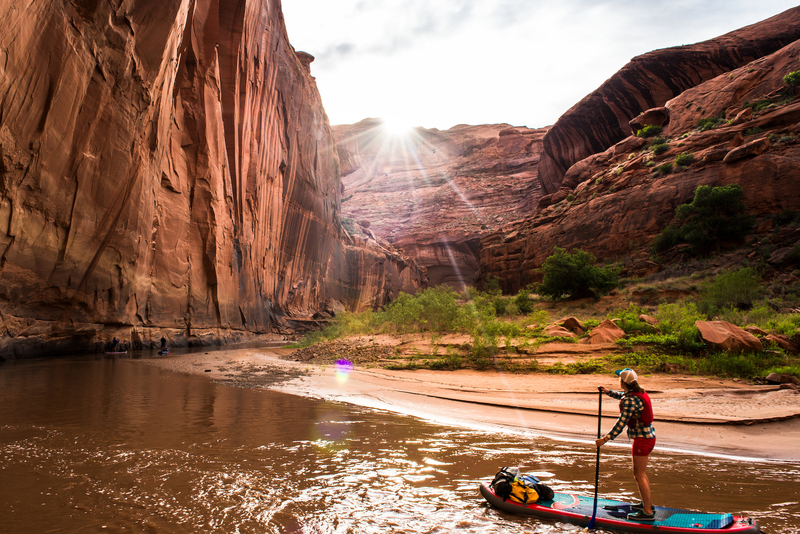 The following year, I received four NATJA awards for two features sharing my and four friend’s stand-up paddleboard first-descent of the wild Escalante River. In 2018, I was selected as an Adventure Travel Trade Association two-time media delegate for the Adventure Elevate conference in Banff, Alberta, and the Adventure Next conference in Jordan. Trail running is my newest expression but as a fourth-generation, snow-loving Coloradan, riding and carving skis is my ultimate passion. When I’m not digging into research and interviews or plugging away at the keyboard, you can find me on trail, snow, yoga mat, rock, or water–somewhere in the world. From running with the Tarahumara in Mexico’s Copper Canyon to SUPing the country’s most remote whitewater, given I’m unreachable, I’m excited to share the behind-the-scenes story with you, soon.